What an exciting and happy day this has been. I got a call from the life guard Adam Boyer in Seagrove. 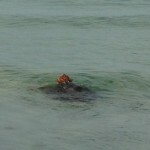 A man had been fishing and caught a sea turtle on his hook. 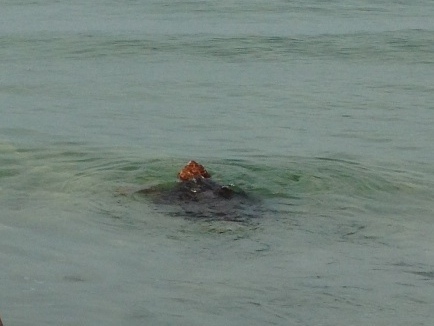 He must have cut the line and the sea turtle was still there. Adam went out into the water on his rescue board and brought the turtle in put the turtle in a tote and put it in the shade. 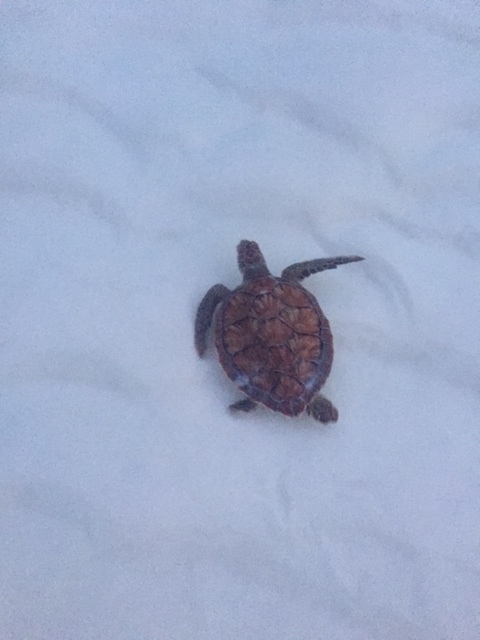 He then called SWTWG, me, and I had Bobby Stuart who lives in the area go get the turtle and he took it to Gulf World in Panama City beach. The vet is looking at the sea turtle as we speak. Thank so much Adam and if you see Adam tell him thanks also and thanks for the millionth time Bobby. 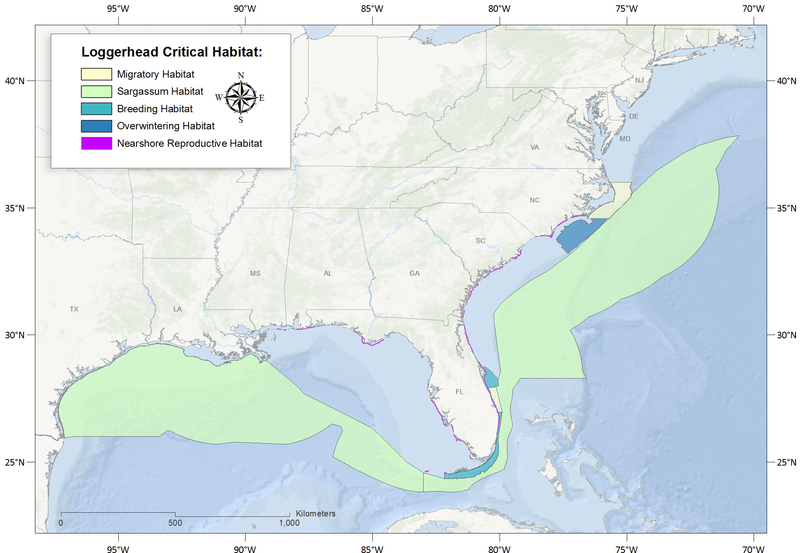 This sea turtle is a very rare Kemp’s Ridley. I also got an email from Jason at Inlet Beach and he was disturbed that a house by a sea turtle nest that has lights that shine out onto the beach. The house was for sale and nobody was there. He asked me to see if I could get the lights turned off. I called the people at with Luxury Properties on 30A and got Tabetha and she went right down and turned off the lights. So you can see how very happy I am today. A big hug and thanks to Jason and Tabetha. Way to go. Thanks for caring so much. 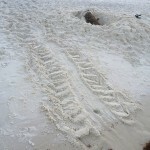 Walton County Leave No Trace. 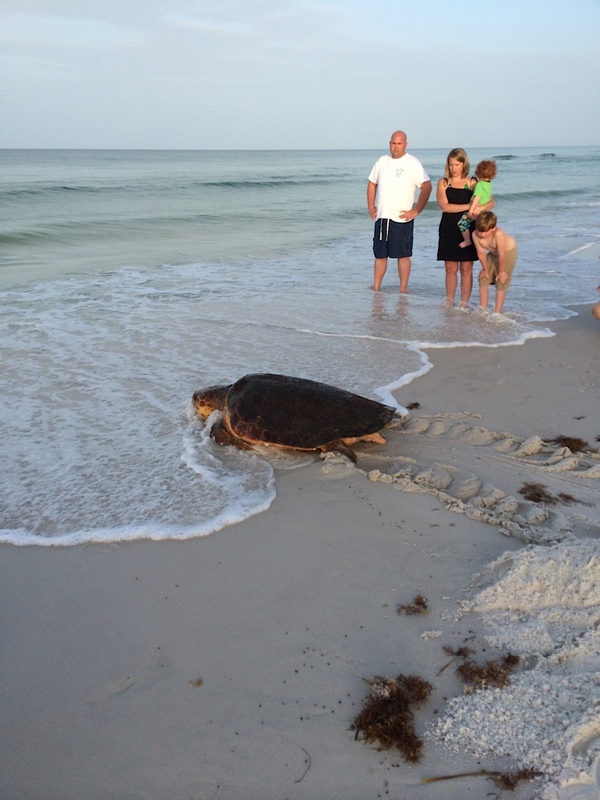 This morning Richard Fowlkes got a call from one of the SWTW volunteers walking her assigned area, about a very large loggerhead sea turtle that she found stuck in a deep hole on the beach that somebody failed to fill in. 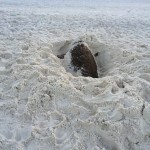 During the night the turtle came up a short distance from the gulf onto the beach and when she turned around to go back towards the water she fell head first into the hole. As turtles cannot go backwards, she continued to try to move forward hole and dug her head in deeper into the sand. A lot of her body and entire head was covered with sand. 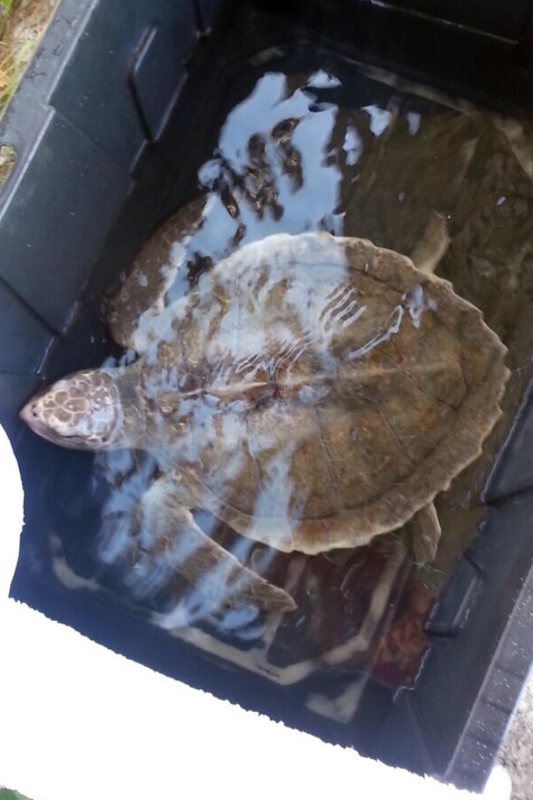 At first, the volunteer thought the turtle was dead, but she moved one of her back flippers! She reported that the turtle was alive to Richard and he began calling for help while he was on his way to the location. It was impossible to move her as she most likely weighs about 300 pounds. After talking to Sharon, Richard advised Johndra that he was on his way and other help was coming too and to continue her walk to ensure there were no other nests, crawls or strandings that needed our attention. Sharon called other walkers, the TDC, Code Enforcement and the Sheriff’s office for help. Richard was the first to arrive and tried to lift her as well, but he was unable to. He began digging out the sand around her head and body so she could breath and hopefully be able to move some. That took some time because he wanted to be careful not to harm her or force her head even further in the sand. As runners and beach walkers came along, Richard enlisted their help. 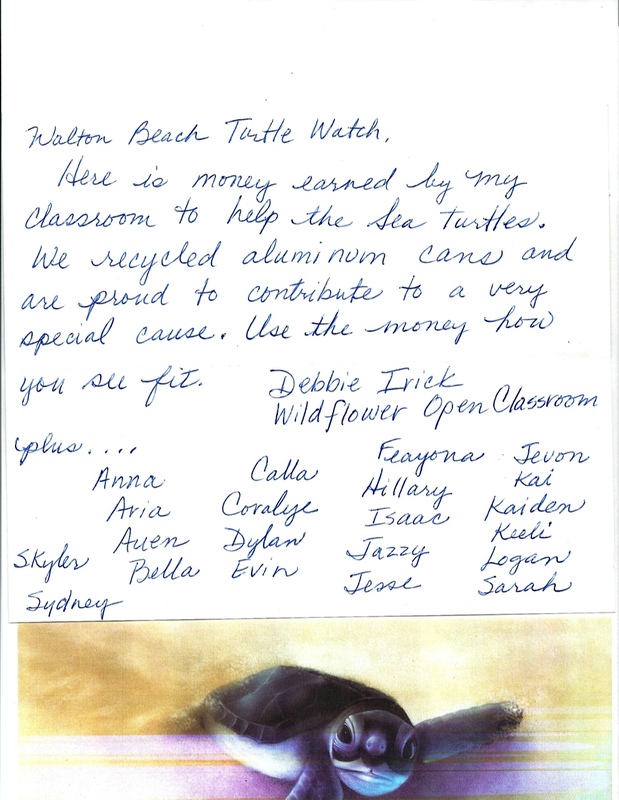 They were all so eager to help this amazing threatened sea turtle. Finally, they were able to expose her head and felt some relief that she was alive, moving a little and could now breathe better. At this point, Richard lead the volunteers to work on digging out the sand around the front of her body so they could attempt to lift her up and give her some leverage to pull herself out of the hole, but she was so heavy they could not move her. Finally more reinforcement arrived. Joe a SWTW volunteer for the Midwest area. With Richard, Joe and Bridgett, the incredible jogger on the beach, they were able to lift her enough to get her to the edge of the hole. Richard said it was like building an escape. Once she on the edge of the hole, she would from time to time, lift her head. Richard knew she needed water so asked the crowd if anybody had a bucket. Unbelievably somebody showed up with a bucket and Richard filled it with water and poured it on her head and body. That seemed to revive her. 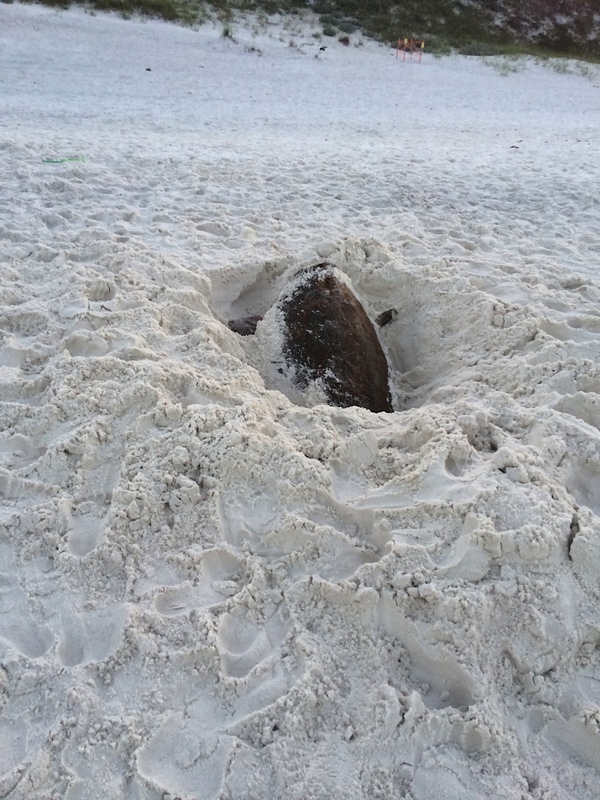 There was applause from the bystanders as she began to move her large body out of the hole and slowly walk towards the gulf, her home. Richard continued to pour water over her head and each bucket gave her more strength. 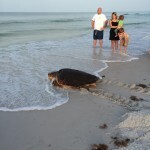 Once she started, it did not take her too long to get far enough in the surf to be able to swim out. Again applause from the bystanders, TDC, SWTW volunteers and the Sheriffs. We watched as she so easily began to swim out lifting her head every once in a while to breath fresh air and we think to let us know she was ok. 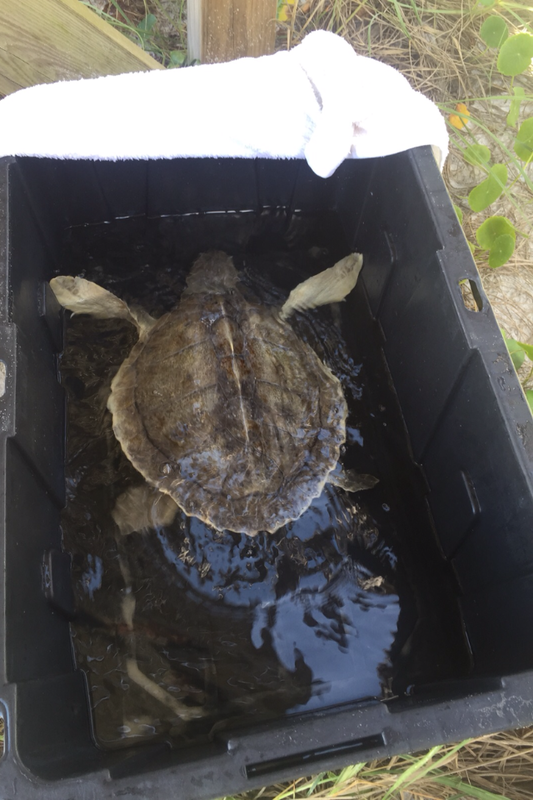 This story is not just about the plight of a sea turtle who was just trying to come ashore to lay eggs, or even about the rescue of that federally protected endangered species. It is about the danger of digging holes on the beach and not filling them in at the end of the day. 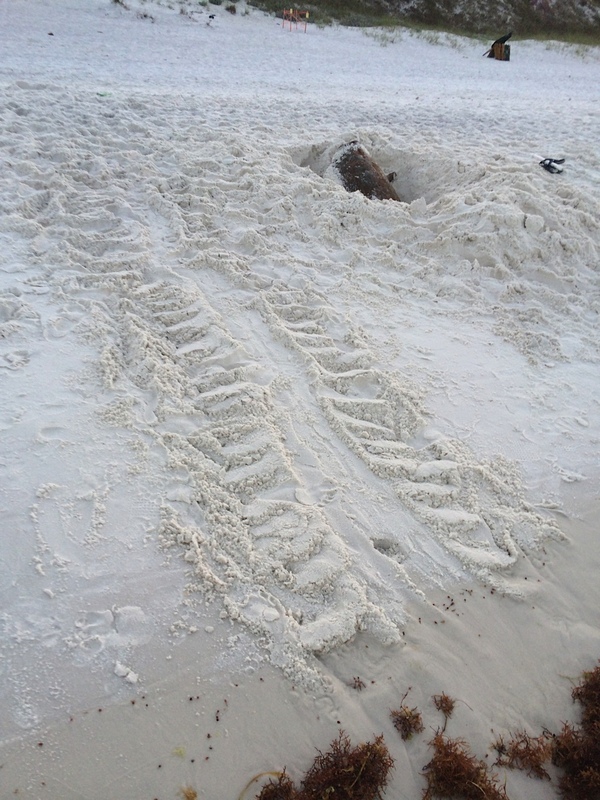 Holes on the beach can kill adult and baby sea turtles. They are a danger to runners or even people just walking the beach at night. Fill in holes on the beach at the end of the day. Teach your children the dangers of leaving holes on the beach. SWTW would like to thank all the many caring people who stepped up today to help. 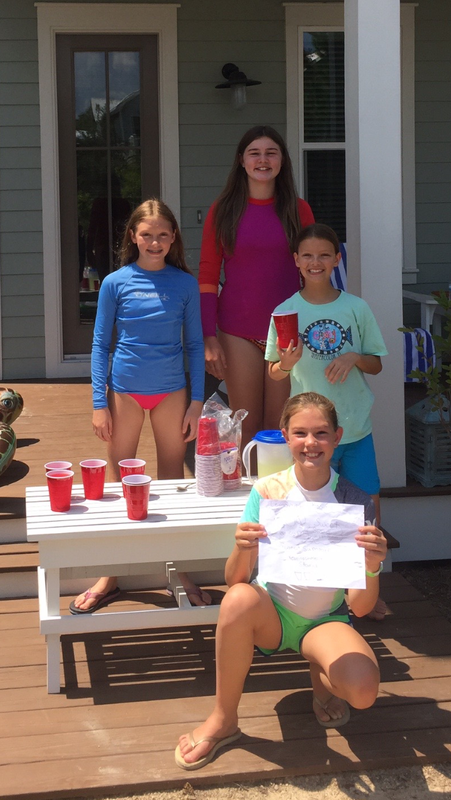 We are so lucky to have a great TDC beach patrol, sheriff department, volunteers, and friends on the beach. You are the greatest. 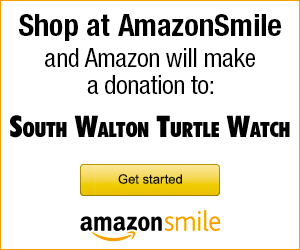 SWTWG uses donations for educational purposes. Every year this wonderful school in Sacramento, California does a project and sends the money to us. This money is used to help our educational programs. We are so excited to have this happen. The school and class found us because one of the teachers folks used to be a big part of our group here in Florida and they have moved on to California. We love this card and love this class. Our sun visors go off to them. Thanks a million for you help.